adidas Equipment has been an essential piece of the brand since its debut in the 1990s. 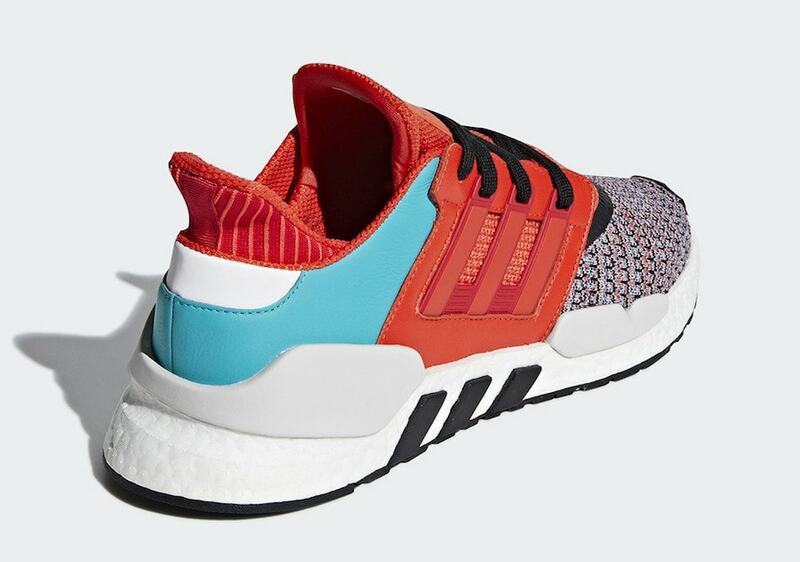 Now, the Three Stripes is adding more Boost to the line, in the form of the unique new EQT Support 91/18, dropping in a vibrant multicolor this season. adidas’ EQT family has experienced a renaissance in recent years, releasing a slew of new silhouettes with a more modern style. This year, a new silhouette has joined the ranks, adding plenty more Boost to the line. The EQT Support 91/18 begins with a combined Primeknit and mesh base for the upper. 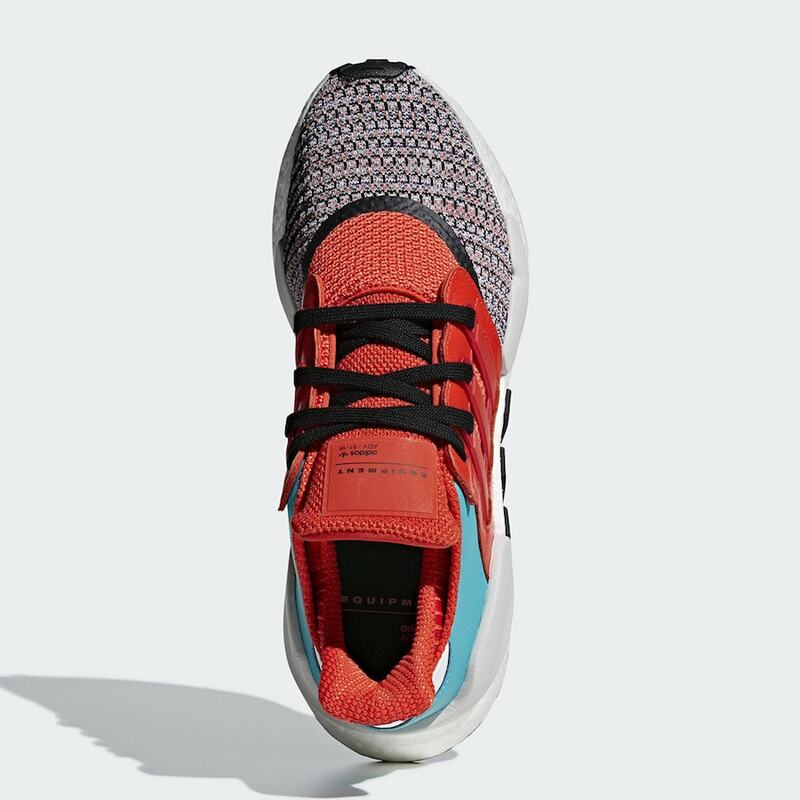 The soft knit material takes over the toe box, which can be seen in a vibrant multicolor look on the latest colorway. The flexible material extends onto each quarter panel to provide a more breathable fit, where they meet the structural support cages. Made from a stiff TPU plastic, these bright red pieces are used to ensure the shoe locks your foot in, similar to the cages used on the Ultra Boost. For additional support, these cages are surrounded by a hollow suede square to help lock them in place as well as providing additional eyelets for the laces. The heel and ankle of the EQT Support 91/18 are constructed from a soft, durable mesh to keep your foot padded, yet able to move and breathe. Layers of suede and smooth leather are added on top to provide both texture and variable color blocking to the look. 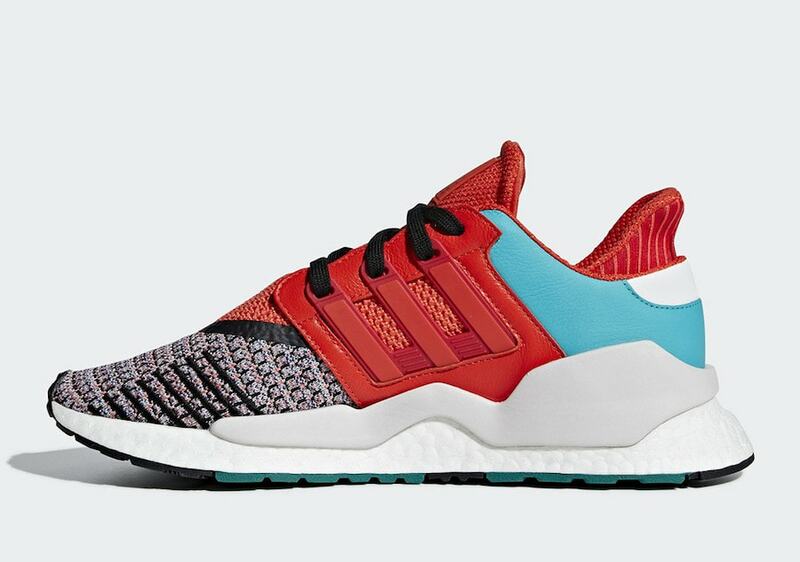 The bright new adidas EQT Support 91/18 is expected to release soon, though no official date has been announced yet. The multicolor iteration of the 91/18 will retail for $180, from both adidas and select retailers. Check out the official images below for a better look at the new 91/18 and stay tuned to JustFreshKicks for more information on where to land a pair. 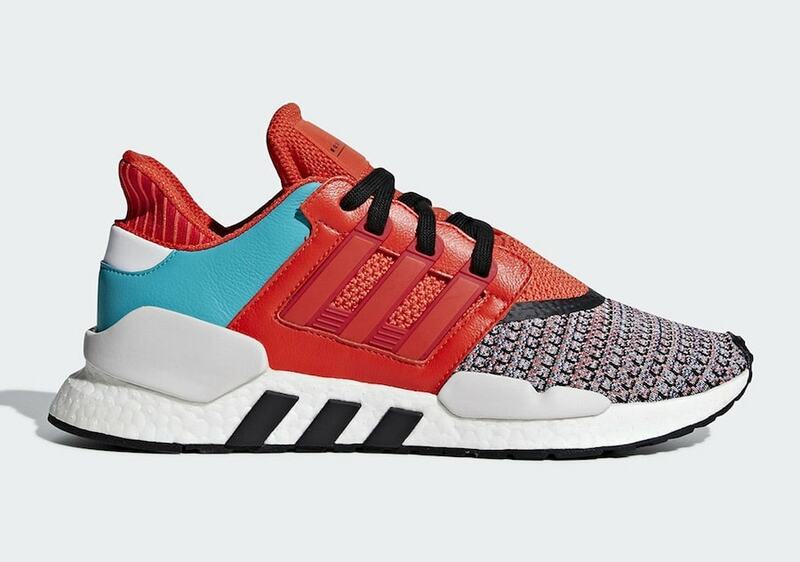 The post The New adidas EQT Support 91/18 Surfaces in a Vibrant Multicolor Look appeared first on JustFreshKicks.